The activity of four transcription factors – proteins that regulate the expression of other genes – appears to distinguish the small proportion of glioblastoma cells responsible for the aggressiveness and treatment resistance of the deadly brain tumor. 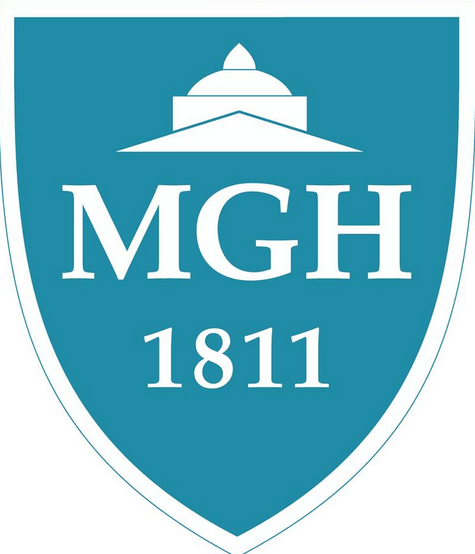 The findings by a team of Massachusetts General Hospital (MGH) investigators, which will be published in the April 24 issue of Cell and are receiving advance online release, support the importance of epigenetics – processes controlling whether or not genes are expressed – in cancer pathology and identify molecular circuits that may be targeted by new therapeutic approaches. "We have identified a code of 'molecular switches' that control a very aggressive subpopulation of brain cancer cells, so-called glioblastoma stem cells. Understanding what drives these aggressive cells will give us insights into alternative ways of eliminating them and potentially changing the course of this very deadly tumor." said Mario Suvà, MD, PhD, of the MGH Department of Pathology and Center for Cancer Research, co-lead author of the Cell article. Normal biological development follows an orderly hierarchical progression from stem cells, capable of differentiating into almost any type of cell, to progenitor cells, giving rise to specific subtypes of cells and tissues, to fully differentiated cells. While the process usually proceeds in a one-way direction, artificially inducing the activity of key transcription factors can reprogram differentiated cells back into a stem-like state, a discovery honored with the 2012 Nobel prize. Small populations of adult stem cells with somewhat limited developmental potential are responsible for the body's ability to heal injuries and replace worn out cells and tissues, and evidence is growing that rare cancer stem cells are responsible for the uncontrolled growth of some malignant tumors, including glioblastoma. Several studies have used cell-surface markers – proteins found on the outer membranes of tumor cells – to identify glioblastoma stem cells; but the specific markers used have been controversial and cannot reflect molecular processes going on within tumor cells. The current study was designed to clarify the cellular hierarchy underlying glioblastoma, to identify epigenetic factors that distinguish glioblastoma stem cells from more differentiated tumor cells and to suggest potential therapies targeting those factors. In a series of experiments, the researchers first identified a set of 19 transcription factors that were expressed at significantly greater levels in cultured human glioblastoma stem cells capable of tumor propagation than in differentiated tumor cells. Testing each of these factors for their ability to return differentiated tumor cells to a stem-like state, identified a combination of four – POU3F2, SOX2, SALL2 and OLIG2 – that was able to reprogram differentiated tumor cells back into glioblastoma stem cells, both in vitro and in an animal model. The investigators then confirmed that these four factors and their corresponding regulatory elements – the DNA segments to which transcription factors bind – were active in from 2 to 7 percent of human glioblastoma cells, cells that also expressed a known stem cell marker. They also showed that inhibiting the action of an important regulatory protein complex that involves a known target gene of one of the core transcription factors – a gene active in stem-like glioblastoma cells but not differentiated cells – caused glioblastoma stem cells to lose their stem-like properties and die. "This study brings us back to the fundamental idea that there are many reasons that cancer cells can be aggressive. Just as normal cells with the same genome differentiate into many different cell types, a single tumor characterized by specific genetic mutations can contain many different types of cells – stem-like and more differentiated cells – with the difference being rooted in their epigenetic information. Identifying the drivers of these different cellular states in glioblastoma stem cells could offer us the best opportunity for treating what remains an extremely difficult-to -treat tumor." explained senior author Bradley Bernstein, MD, PhD, of MGH Pathology and the MGH Cancer Center.